Back behind the camera is director Matthew Vaughn, and while Colin Firth, Mark Strong and Taron Egerton will all be returning to reprise their roles, the studio has also drafted in a ton of new faces to assist. Those newcomers are Julianne Moore, Channing Tatum, Elton John and Halle Berry, among others, and you can get a look at the names of the full main cast on the new one-sheet below. Released earlier today, it’s a teaser poster in every sense of the word, not even showing us a single face, but it does signal the fact that the marketing campaign is now underway. With a September 29th release date locked in, it may still be a while before any footage from the sequel debuts, but for now, we’ll take what we can get. In a year with releases like Justice League, Guardians of the Galaxy Vol. 2 and Spider-Man: Homecoming, among others, The Golden Circle may not be quite at the top of people’s most-anticipated list, but it definitely should be. As we mentioned above, Egerton has already teased that it’s going to be a crazy film, and that, coupled with Firth’s comments from a while back about The Golden Circle being “outrageous and unconventional” has us thinking that it may be able to surpass its predecessor. 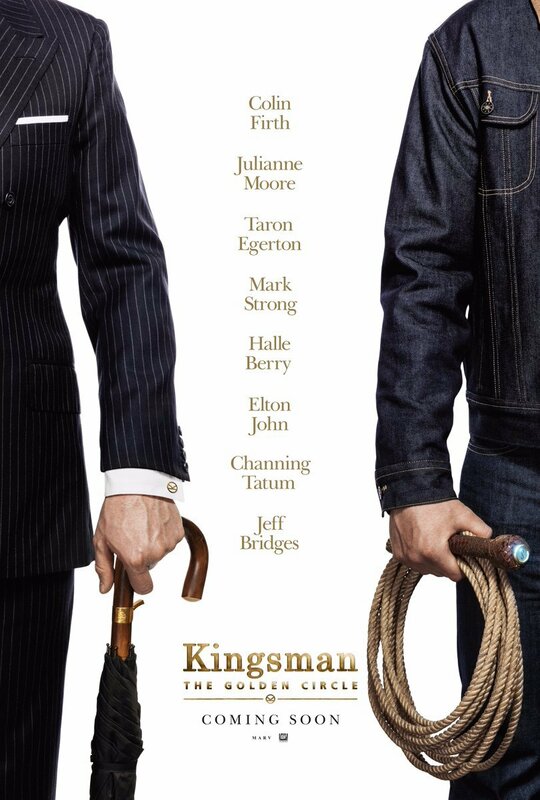 After all, with the setting being moved to America, it’s clear that Vaughn is looking to shake things up a bit here and given that the director never makes sequels, we’re inclined to believe that there’s something special about Kingsman: The Golden Circle.